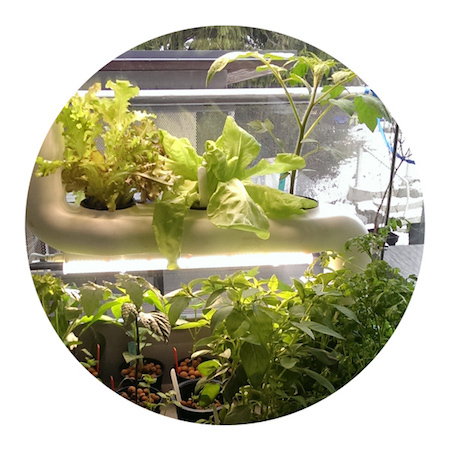 SUPRAGARDEN® hydroponics system is ideal for growing and farming food plants at home, at the office or even at the restaurant. 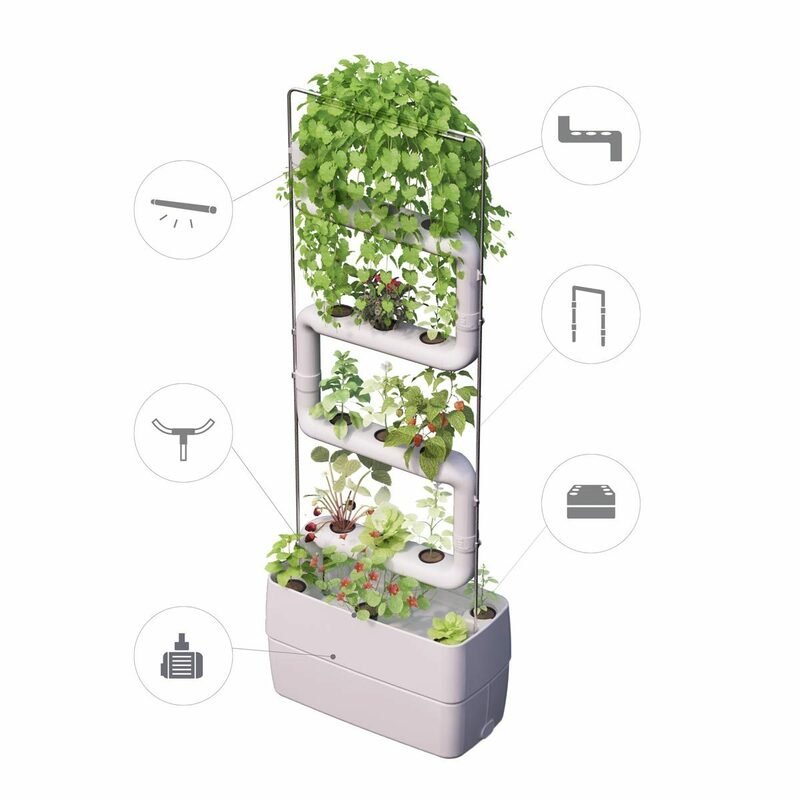 It uses effective water and nutrient based urban grow method hydroponics,where water, nutrients and air are easily available for plant roots. It is the same water farming that commercial greenhouses use for grownig salads, tomatoes and herbs for our food. 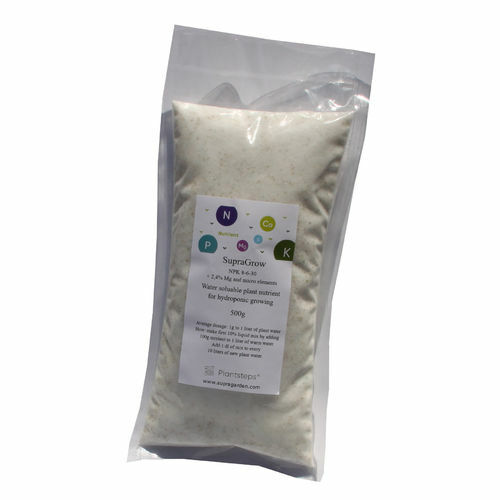 Greenhouse grade Hydroponic nutrients are available at the shop. 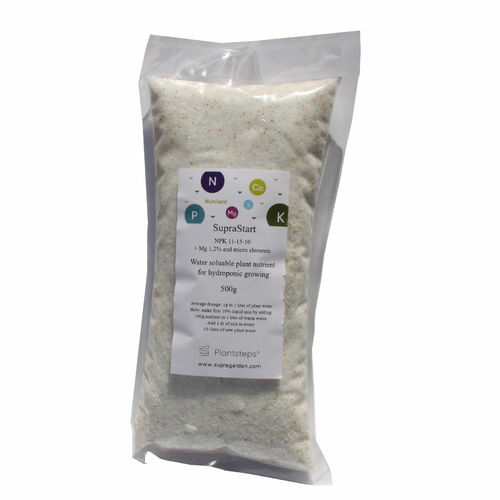 With the big water tank hydroponics system maintanence is easy, just add new water and hydroponic nutrients 1-4 times per month. System parts are made of safe, food grade PE-plastic and silicon tubing. The nursery level on top of watertank is good place to grow small and big food plants with NFT, flood&drain, DWC, ebb&flow and drip feed techniques. 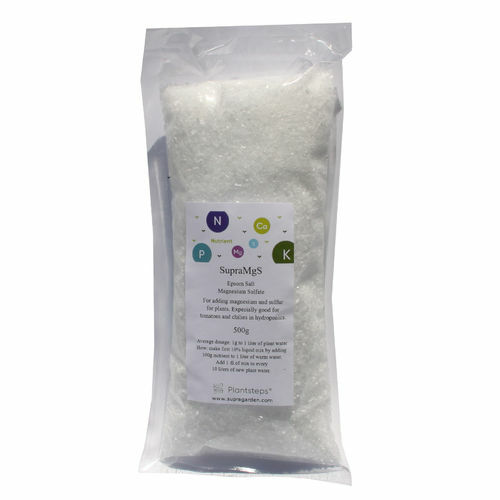 When growing food with hydroponics the water PH level and EC nutrient level should be followed and balanced time to time. 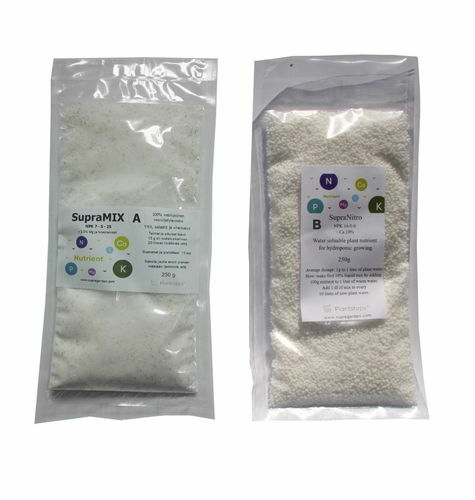 Our shop can supply both commercial grade hydroponic nutrients and water measurement and adjustement tools. Larger plants like peppers and tomatoes can be grown on Supragarden Nursery level and on Plantsteps opened to sides of the water tank. 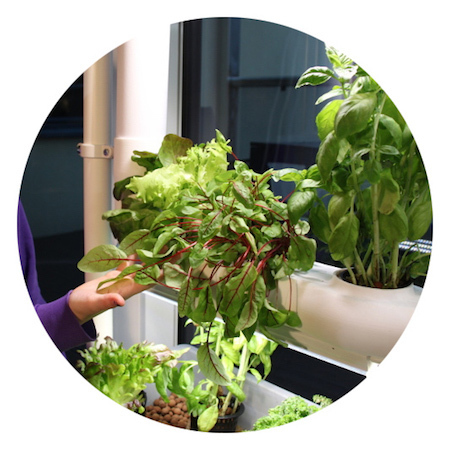 Most herbs such as basil, mint, parsley and a variety of lettuces and strawberries thrive on hydroponics. 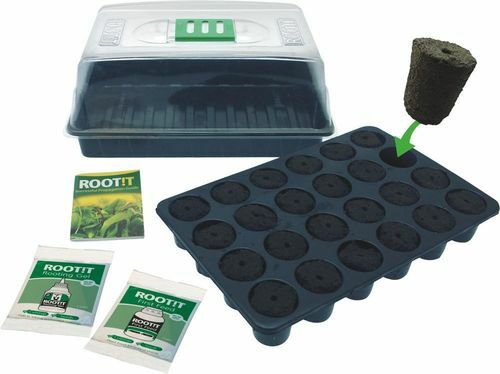 You can begin to grow plants from seeds or by taking cuttings from other plants. 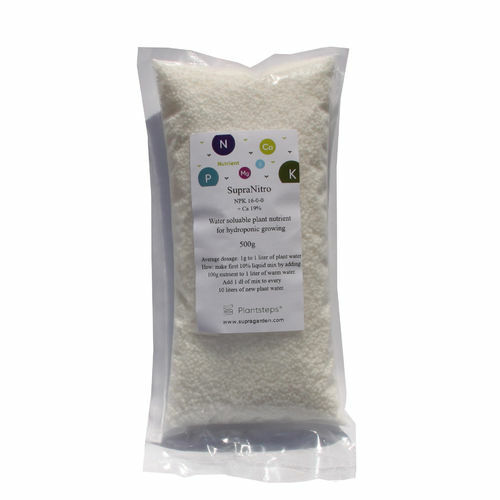 We recommend to plant seeds and cuttings first on rock wool and germinating them at the warm sprouting chamber. When Slightly rooted, approx. 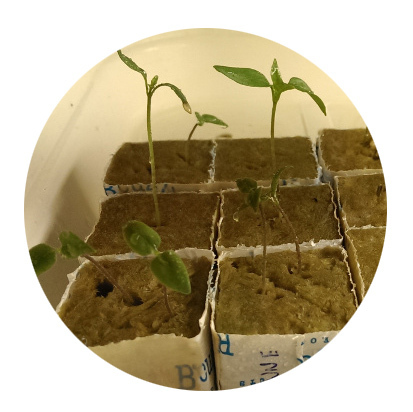 1-2 weeks old seedlings are planted in rock wool cubes to net pots and covered them up with some hydro clay. Put plants now on Nursery level with Ebb&flow watering. 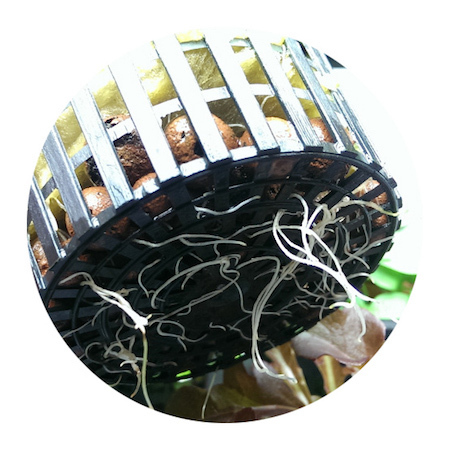 When roots grow out from net pot you can move plants to grow in the Plantsteps®. 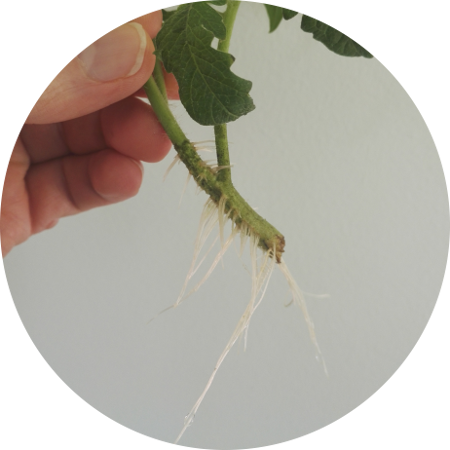 With hydroponics, plant roots grow quickly in the start, but then root growth slows down when the plant realizes how easily they can get water, air and nutrients. 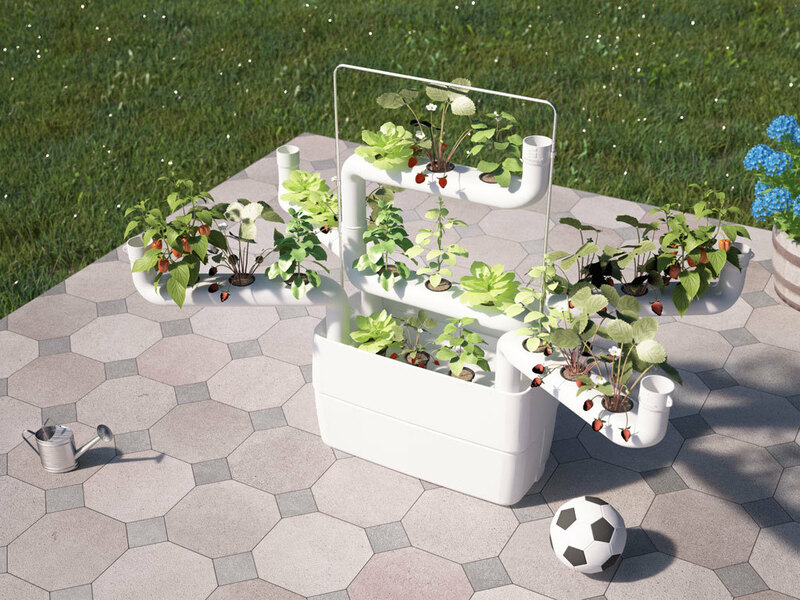 Now plants can focus on growing height and green leaves and next, typically starts growing flowers and fruits. 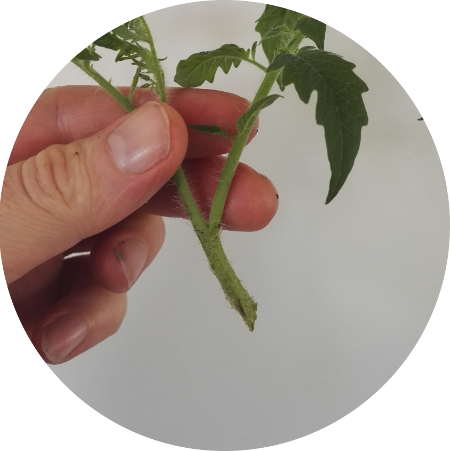 You will be amazed how fast they grow in Supragarden®. 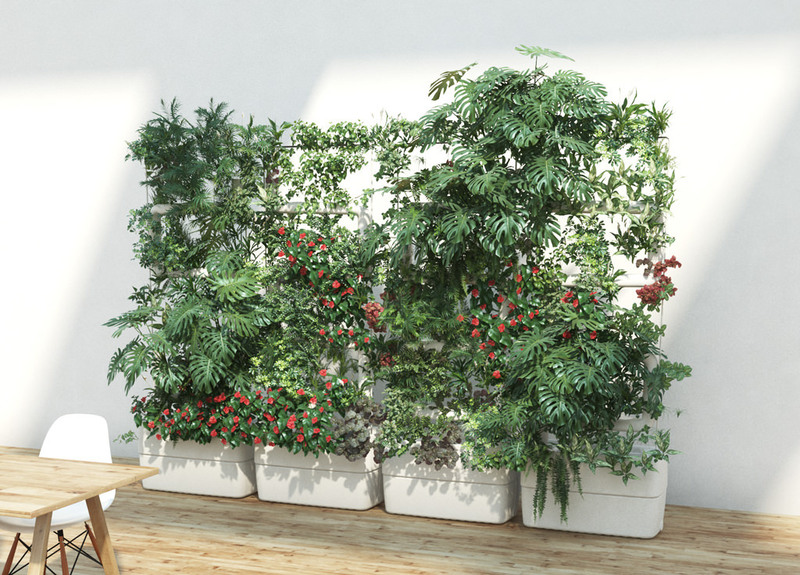 Many food plants and green plants can be multiplied by taking cuttings from big plants to make new ones. 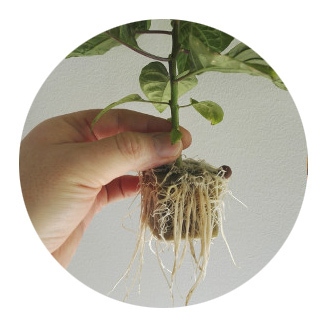 Cuttings grow new roots quickly in hydroculture and the new plant will grow with same features as the mother plant. Cut a branch or top of a plant, about 10 to 20 cm out from a bigger, healthy plant. Place some rooting agent on the end of the cut plant stem and then stick it to rock wool cube. Put the cube to net pot and cover with hydroclay. 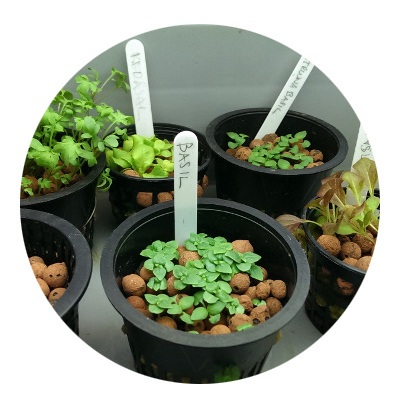 Start growing small cuttings on seperate sprouting chamber, or directly on the Supragarden Nursery level, where young plant gets water easier with ebb&flow watering. When the roots are visible outside the pot, move the plants to Plantsteps. 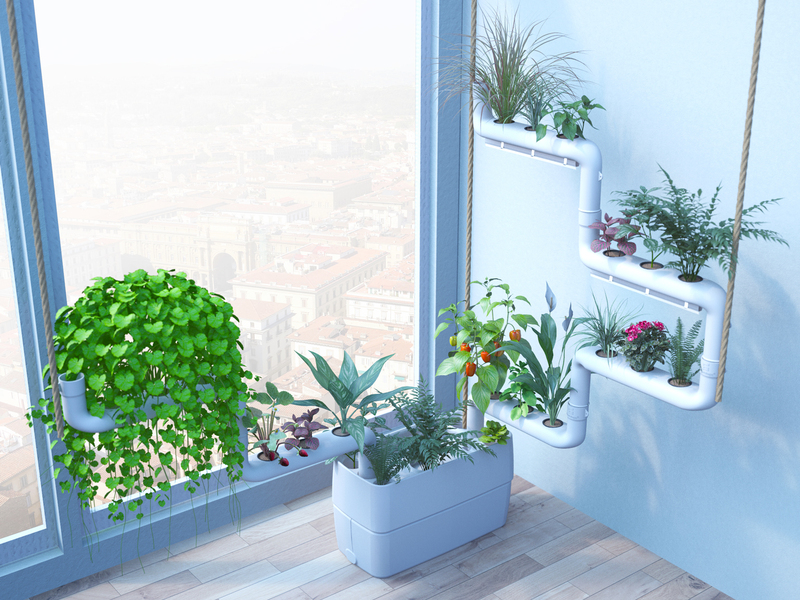 Lean How to build and grow with Supragarden Green Wall system? 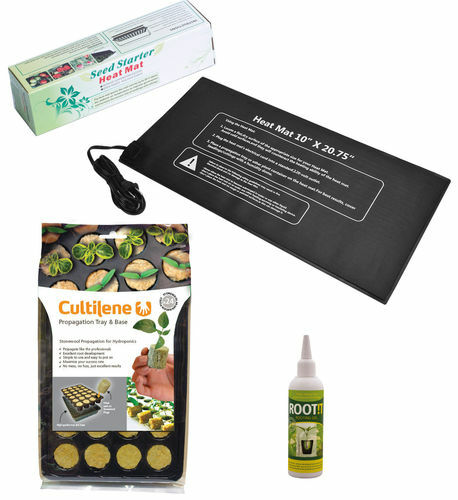 All that you need for start growing plant seedlings and cuttings safely. Great gift idea for plant person. 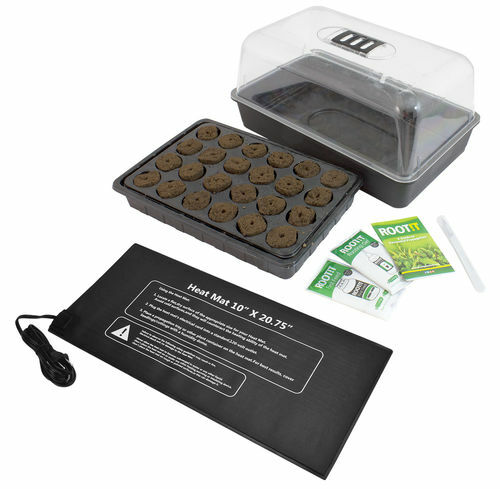 The package contains all the necessary components for easy growing of new plants from seeds or cuttings. 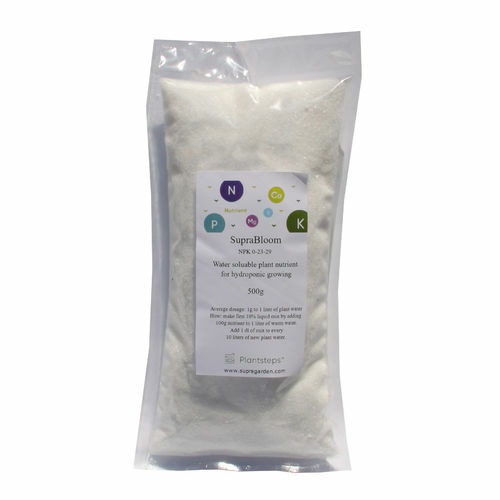 Nutrient Kit for hydroponics contains fertilizers for growing food plants and green plants in hydroponic . 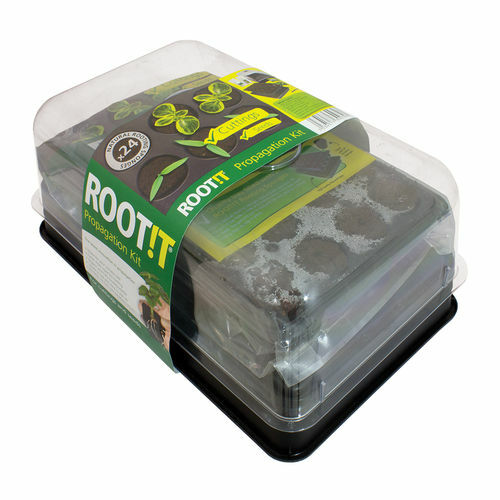 ROOT!T Rooting Gel is specifically formulated for use with propagation plugs. 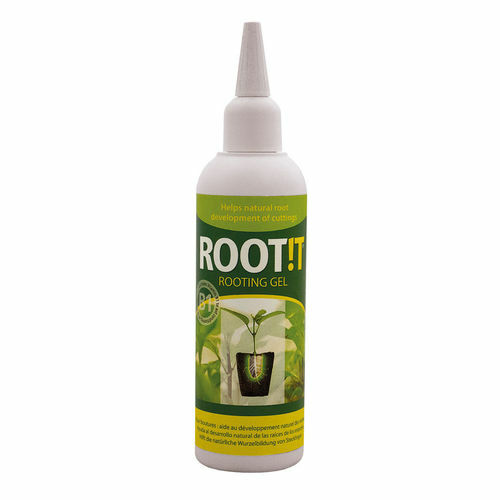 ROOT!T Rooting Gel helps natural root development of cuttings. 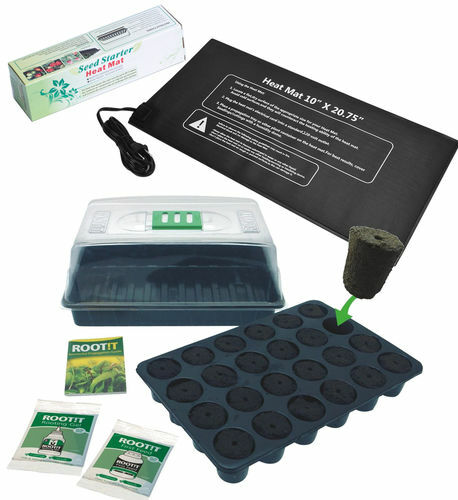 The package contains all the necessary components for growing of new plants from cuttings or seeds. Grow Dome for starting plant growing. 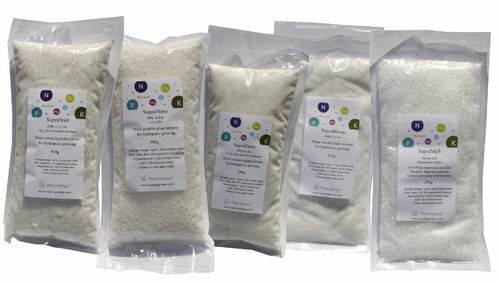 All that you need for growing seedlings and cuttings safely.